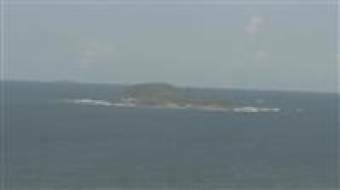 Webcam Marcoola: Seaview - A view over the Coral Sea at Marcoola. Pacific Paradise: Sunshine Motorway, David Low Way interchange (looking South), 2.9 mi. Coolum Beach: David Low Way Coolum Pedestrian Crossing (South), 3.7 mi. Coolum Beach: Beach View, 3.9 mi. Maroochydore: Duporth Avenue / Beach Road (North), 4.5 mi. Maroochydore: View over the Beach, 4.6 mi. Maroochydore: Maroochydore Road / Broadmeadows Road (West), 4.7 mi. Maroochydore: Horton Parade, intersection with Plaza Parade (looking East), 4.9 mi. Maroochydore: Aerodrome Road, adjacant to Caltex Service Station (looking north), 5.1 mi. This webcam Marcoola with the theme Seaview was added on November 22, 2011 and is operated by Coastalwatch. It got 1062 visitors since then. Shouldn't this webcam work or should the link be wrong please report that here. You can add this webcam here to myCams.